Once you have created your Inventory, the next step is to create and populate compartments. Compartments are created once and can then be used on multiple different checklists. This is useful if you have compartment layouts that are uniform across trucks - like a BLS Bag. If you have compartments that are unique to a truck we recommend adding the name of the truck to the compartment (e.g. E114 - Pump Operators Compartment). 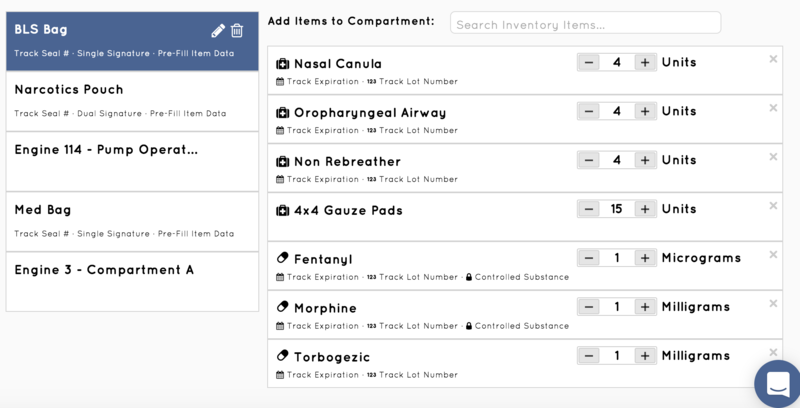 These compartments will be available to you when creating checklists as Compartment check steps. 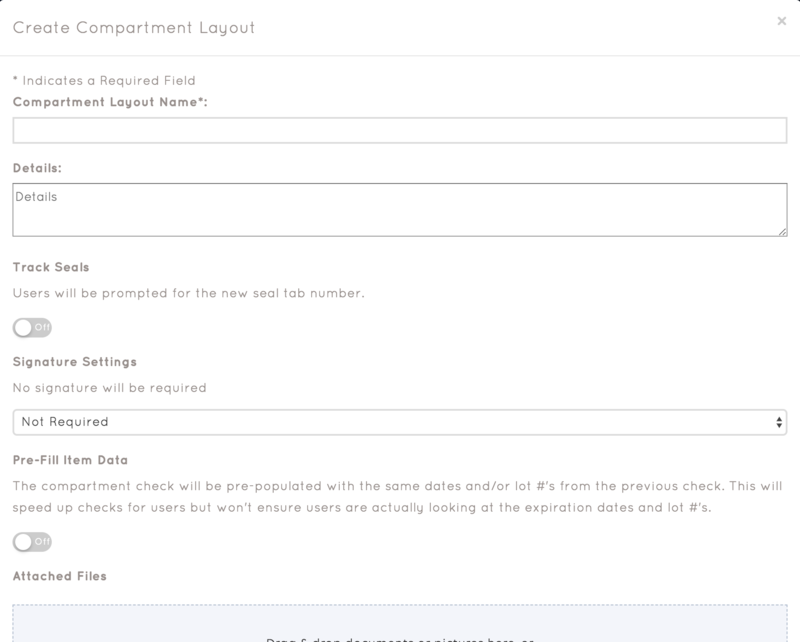 To add a finished compartment, simply add a check step, select Compartment and then select the name of the compartment you want to add from the dropdown. Track Seals - This will tell the system to track previous and next seal every time the compartment is checked. Signatures - You can choose to have no signatures, one signature, or a handoff signature (two signatures). Images - Add images to the compartment that will show up when they are checking the compartment. Pre-Fill Item Data - This tells the system to pre-populate the the compartment with expiration dates and lot numbers from the last time this compartment was checked on that truck. You can add inventory to a compartment by searching in the text box labeled 'Add Items to Compartment'. After adding an item you can set the par level with the + / - buttons on the inventory item.